Big teams splashed some serious amounts of cash to recruit players that would fit into their teams well and keep their hunt for silverware this season on track. 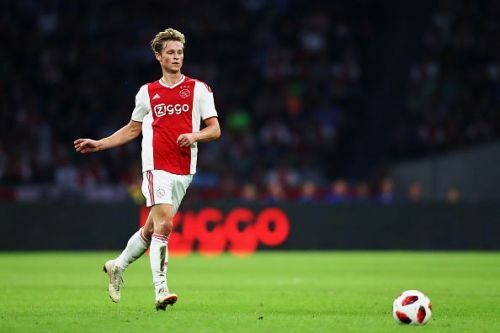 Some teams were forced to make a deal for players to lock them down and fend off interest from other big clubs across Europe. Real Madrid were expected to make at least 2-3 signings but they are content with their only signing Brahim Diaz this window and would like to enforce their squad with reinforcements in the upcoming summer transfer window. Some of Europe's finest teams snatched up some up of the hottest prospects. Some of the biggest names on the move were Samir Nasri, Youri Tielemans, Michy Batshuayi, Kevin-Prince Boateng, Medhi Benatia, Pepe, Timothy Weah, Mario Balotelli, Leandro Paredes, Lucas Paqueta, Denis Suarez and Cesc Fabregas among others. Here we take a look at top 5 deals sealed in the winter transfer window. Gonzalo Higuain reunited with the current Chelsea manager Maurizio Sarri after their time together at SSC Napoli.31-year-olde moved to Chelsea on loan, after completing a six-month spell at AC Milan. Higuain is a proven goalscorer and has amassed huge experience playing in different leagues and teams as big as Real Madrid C.F, SSC Napoli, Juventus and AC Milan. Chelsea have been in desperate need of a striker that can score goals on a regular basis and the veteran can prove to be the right choice. The Blues had Alvaro Morata as their first choice striker who had an average season until now but struggled to adapt to the English style of play and physicality, which may have forced Sarri to look up to his former Argentine striker. 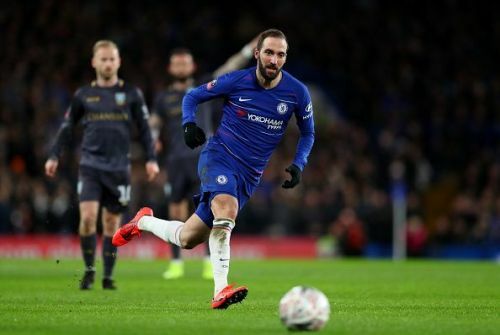 Although Higuain had a night to forget with Chelsea losing 4-0 away to Bournemouth on his Premier League debut but once he settles down into this side the new Chelsea no.9 may get them back on track.